FERGUSON, Mo. - Protesters in the St. Louis suburb where an unarmed black 18-year-old was fatally shot by a white police officer plan to block part of Interstate 70 Wednesday afternoon in an act of civil disobedience. Organizers say they want to bring rush hour traffic on I-70 in Ferguson to a standstill and expect to be arrested at the demonstration. The Missouri State Highway Patrol and city and county police departments say they will "enforce the law and ensure public safety" at the planned shutdown. A similar protest was planned on the day of Michael Brown's funeral but was mostly curtailed at his family's request. Elected leaders in the St. Louis suburb on Tuesday evening had hoped to use their first public meeting since Michael Brown's death as a chance to promote community healing. Instead, they were greeted with anger, outrage and warnings of voter retribution at the ballot box. Proposals to overhaul the municipal courts and create a citizen police review board were greeted warily, if not with outright skepticism. 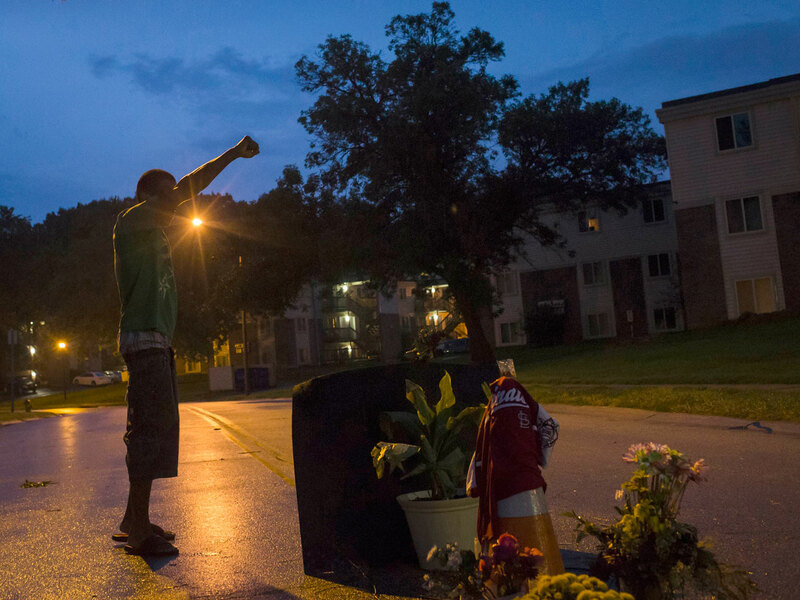 "You've lost your authority to govern this community," said St. Louis activist John Chasnoff. "You're going to have to step aside peacefully if this community is going to heal." The shooting last month exposed an undercurrent of racial unrest in Ferguson and other nearby suburbs in mostly black communities of north St. Louis County, and prompted days of sometimes-violent protests.